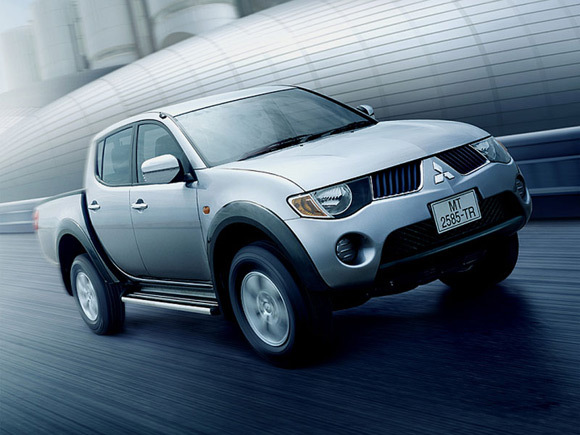 This info is on older model of Mitsubishi L200 Strada, if you are looking for brand new Mitsubishi L200 Triton please visit http://www.sam4x4.com/triton.html. Sam Motors Thailand is Thailand's best and oldest 4x4 exporter while Sam Motors Dubai is Dubai's largest car dealer and car exporter. Email us now at thai4x4@gmail.com for Toyota Hilux Vigo, Mitsubishi L200 Triton or Nissan Navara of your choice. Our used car division our parent company Sam Auto Group Thailand is Thailand's best used car exporter. 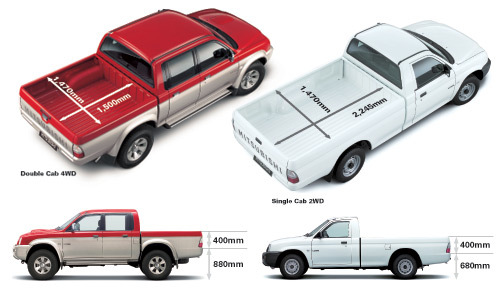 Mitsubishi L200 Strada was a world leader in many markets but then Toyota Vigo was released at the end of 2004 and it ate everyone's lunch and emerged as the best selling pickup in a matter of few months. The 2006 Mitsubishi Triton was Mitsubishi's response to Toyota Vigo and in these two years it has made its place. For detailed specs on Triton please click on http://www.sam4x4.com/triton.html. 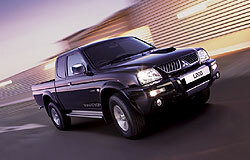 Triton has replaced Mitsubishi L200 Strada so the below details are for pre-owned quality second hand L200. If you are interested in quality preowned Mitsubishi L200 Strada, Sam Motors is the in place as no one has exported as many Mitsubishi L200 to as many countries as world's largest 4x4 Exporter - Sam Motors Thailand. Email us now at thai4x4@gmail.com to get your used or new L200 now from Sam Motors Thailand, Sam Motors Dubai or our parent company Sam Auto Group Thailand. 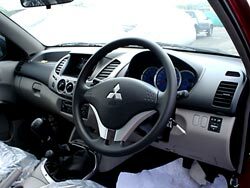 For more details on Mitsubishi Triton please see http://www.sam4x4.com/triton.html. 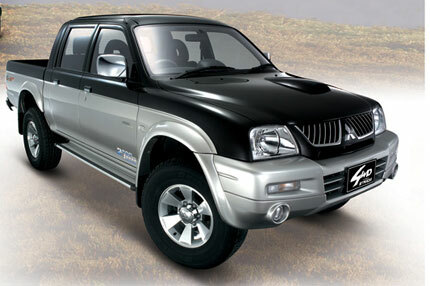 The pioneer of the Double cab culture - Mitsubishi Strada - is a popular truck all over the world. It is marketed under various names, it is Storm in Malaysia, Triton in Australia, L200 in Europe and Colt in South Africa. No matter what the name, Strada stands out as a superb truck which is a subtle combination of the beauty and the beast. Mitsubishi has introduced its brand new 2006 model christened Triton. Please see http://www.sam4x4.com/triton.html for its specifications. 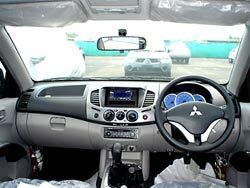 Two Mitsubishi trucks won best accolades in the Thailand Car of the Year Awards presented at the 26th Bangkok International Motor Show on March 30, 2005. At a ceremony on March 28, the organizers of the show presented the Mitsubishi Grandis minivan (Space Wagon in Thailand) with the Best MPV Award and the Strada pickup with the Best Export Pickup Award. You'll be hard pressed to fill the easy-access cargo bed to capacity - but that doesn't sbest most L200 drivers from trying. Roomy enough for recreational gear and tough enough for working materials, the cargo bed of the L200 also has a double-walled structure supporting long-term performance. Designed especially for the practical L200 user, this Part-time 4WD system handles heavy-duty workloads with easy maintenance. 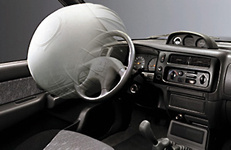 The driver is required to sbest the car and manually engage/disengage 4WD.